In 2016 this painting was re-framed by the artist with a barn wood frame. The wood came from the structure, often referred to by the family as “the shed”, which sat next to the barn pictured here. 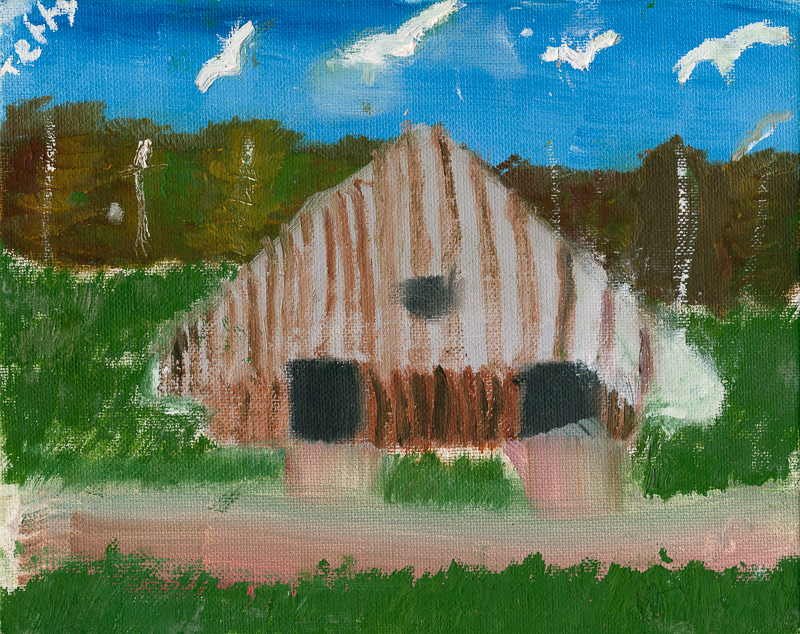 The shed had collapsed in 2010, thirty years after this painting was completed. 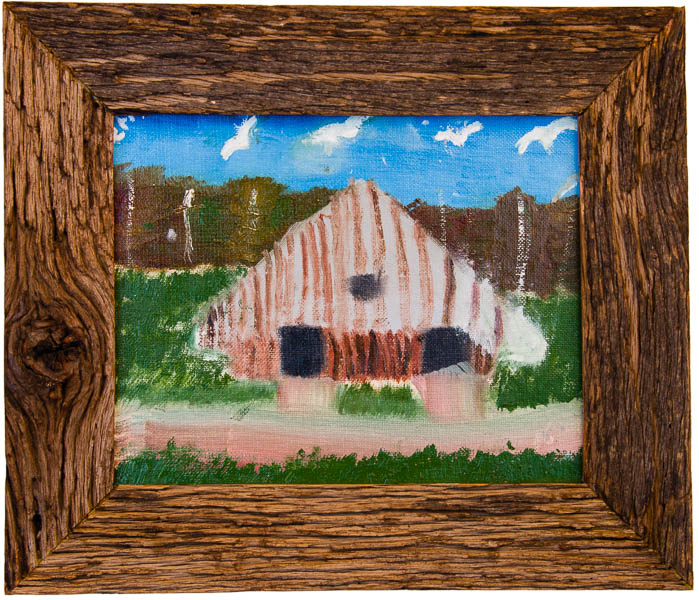 The frame was constructed by the artist’s father, Jerry Don Smith.